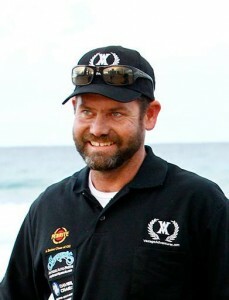 Although born in Scotland, 38-year-old Austen Ritchie has lived on Australia’s Gold Coast since he was four-years-of-age. A fifth generation builder, Austen runs a successful business, creating stunning prestige homes throughout Queensland and beyond. Married with children, Austen is no stranger to adventurous challenges having undertaken many epic journeys including those on the high seas as well as rougher terrain where he can put his 4×4 through its paces. He’s also undertaken many endurance drives and isolated camping trips which all came in good stead for the Ocean 2 Ocean Challenge Australia. Now Austen goes one further by taking his place on the World’s greatest motoring challenge – the Peking to Paris 2016.